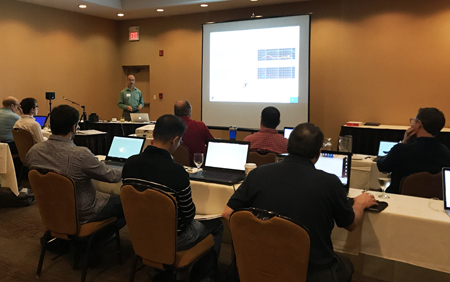 Unleash your audio test skills with our popular 2 day SoundCheck training course in Cupertino, CA on Sept 10-11. Course presenters: Mark Latshaw, Cam Ruffle-Deignan – Listen, Inc.
Sept 10-11, 2018. Coffee / snacks / sign-in starts at 8:00 AM and the training course runs from 8:30 AM to 5:00 PM each day. Due to popular demand, we are now holding our headphone testing seminar in Tokyo! Learn about the latest in headphone test systems and methods from design to EOL Test. Industry experts Steve Temme (Listen, Inc.) and Peter Wulf-Andersen (G.R.A.S. ), as well as guest speaker Dr. Sean Olive (Harman International) will discuss test equipment (ear couplers, test fixtures, test software and hardware) and demonstrate practical test setups for both R&D and QC headphone testing. It will cover in-ear monitors, Bluetooth, lightning/USB, noise-cancelling and high resolution headphones, in addition to conventional analog headphones. You can even measure your own headphone using our equipment in the hands-on session. Please see the full agenda below. There is no charge for this one-day seminar. Lunch will be provided. Space is limited, so please RSVP today. Tokyo: Friday March 9th, 2018. Otemachi SUNSKY ROOM 27th floor, room #B Asahi Seimei Otemachi Bldg. 2-6-1 Otemachi, Chiyoda-Ku, Tokyo. Introduction to head and ear related terminology and definitions. Historical perspective and background for the tools and standards used today. Limitations vs. Possibilities in term of the measurement capabilities. 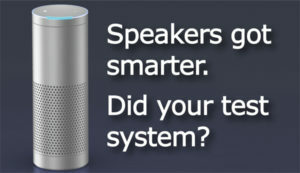 How does that relate to the modern challenges with Bluetooth and ANC related testing tasks? Solutions to some the challenges addressed above. Examples based on products and measurements. 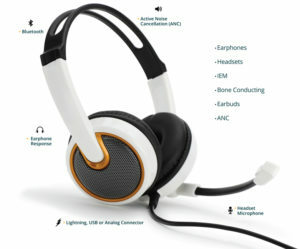 Practical examples of headphone measurements on. Due to popular demand, we are now holding our headphone testing seminar in Seoul! Learn about the latest in headphone test systems and methods from design to EOL Test. Industry experts Steve Temme (Listen, Inc.) and Peter Wulf-Andersen (G.R.A.S. ), as well as guest speakers Dr. Sean Olive (Harman International) and Prof. Lee (New Media Communication Joint Institute of Seoul National University) will discuss test equipment (ear couplers, test fixtures, test software and hardware) and demonstrate practical test setups for both R&D and QC headphone testing. It will cover in-ear monitors, Bluetooth, lightning/USB, noise-cancelling and high resolution headphones, in addition to conventional analog headphones. You can even measure your own headphone using our equipment in the hands-on session. Please see the full agenda below. There is no charge for this one-day seminar. Space is limited, so please RSVP today. Seoul: Tuesday March 6th, 2018. Korea National University, 1 Gwanak-ro, Gwanak-gu, Seoul. We are holding a 3 day training event on April 11-13 in Waltham, MA (Boston area). This event will feature a 1-day course on electroacoustics testing, presented by Marty Alexander of Alexander Acoustics, followed by a 2 day SoundCheck training class. Course presenter: Marty Alexander – Alexander Acoustics, LLC. Course presenters: Steve Tatarunis, Mark Latshaw – Listen, Inc.
April 11-13, 2018. Coffee / snacks / sign-in starts at 8:00 AM and the training course runs from 8:30 AM to 5:00 PM each day. This series of 3 short tutorials explains the various acquisition options in SoundCheck, and demonstrates how to configure them. This series of 9 short tutorials explains the various stimuli available in SoundCheck, discussing when you might use them and how to configure them in SoundCheck. We are holding our popular 2 day SoundCheck training class on September 25-26 in San Jose, CA. This hands-on class covers all the major features of SoundCheck version 15, including writing sequences, test signals, analysis, distortion measurements and more. The class is a combination of presentations interspersed with hands-on exercises to ensure that you are comfortable with all the concepts and methods taught before you leave the classroom. Although no previous SoundCheck experience is assumed, the course still offers plenty to users familiar with writing basic sequences. Although the SoundCheck training is intended as a 2-day program, it is possible to attend just one day of the training. Hyatt House San Jose/Silicon Valley, 75 Headquarters Dr, San Jose, CA 95134. September 25-26, 2017. Course registration starts at 8:00 AM and the training course is 8:30 AM to 5:00 PM each day. Please contact the hotel directly at (408) 324-1155 to reserve a room. There are also many other accommodation options at a range of prices nearby. We are holding a 2 day SoundCheck training class on Aug 30-31 near Chicago, IL. DoubleTree by Hilton Hotel Chicago – Arlington Heights, 75 W. Algonquin Road, Arlington Heights, Illinois 60005. August 30-31, 2017. Course registration starts at 8:00 AM and the training course is 8:30 AM to 5:00 PM each day.